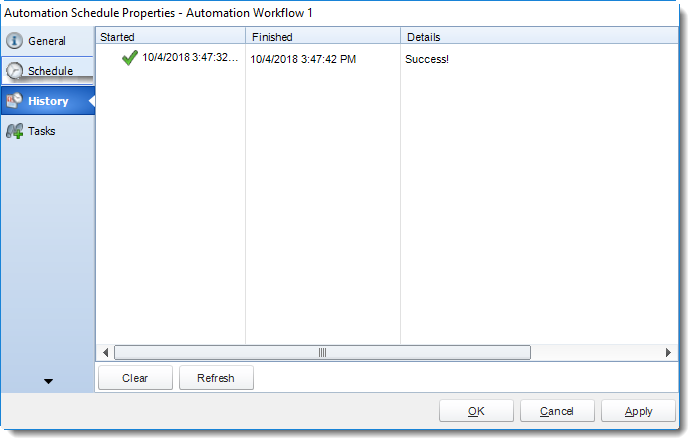 How do I use an Automation Schedule to create a workflow in SQL-RD? 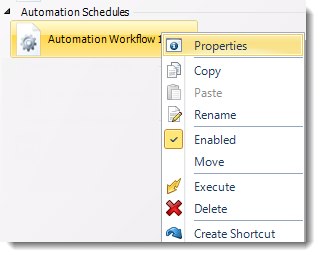 Automation Schedules give you the ability to write automated processes and workflows using SQL-RD' standard Custom Actions. 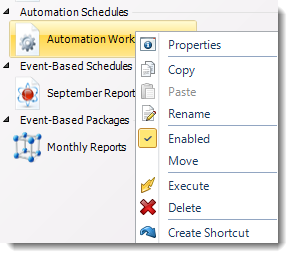 Automation Schedules give you the ability to write automated processes using SQL-RD' standard Custom Actions. 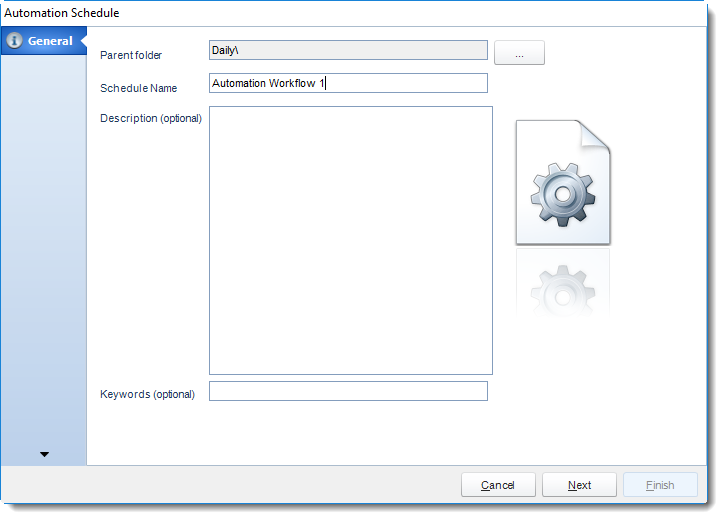 Automation Schedules make up the Business automation arm of SQL-RD. Beyond reporting, you can automatically update databases, set registry keys, move files, and even create reports directly from database data. Combine multiple tasks to automate database maintenance, integration, or as an automated way to communicate. Combine these functions with other schedules such as the Event based Schedule to unlock even more powerful functionality. 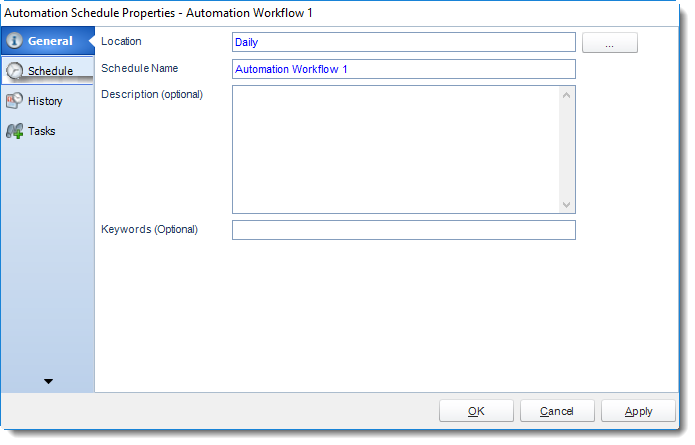 To combine automation tasks with a schedule type, use a custom task. Custom tasks are usually created toward the end of a Report schedule Wizard. How do I Create a Automation Schedule? Enter your schedule Details. This section determines the most basic properties of a schedule. 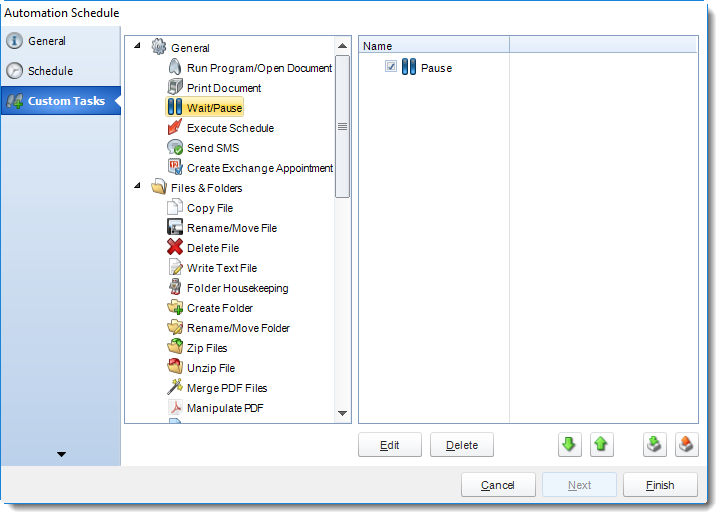 Parent Folder: Select the SQL-RD folder where your schedule will be stored. 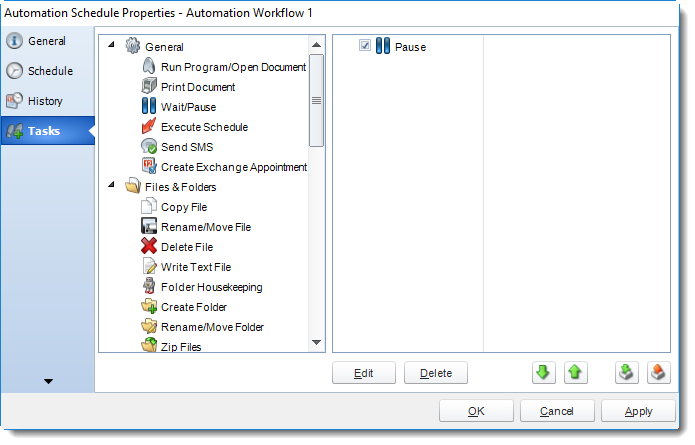 Schedule Name: Name your automation schedule. 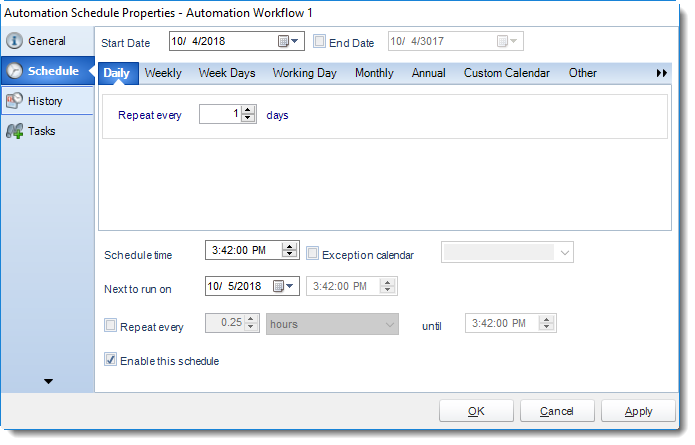 Properties: Selecting this option will bring up the "Properties" module containing configuration information for that schedule. Execute Schedule: This will execute the schedule immediately. Note that the next run date and time is not moved on as a result of a manual execution. They only move on if the schedule is run automatically by one of the schedulers. 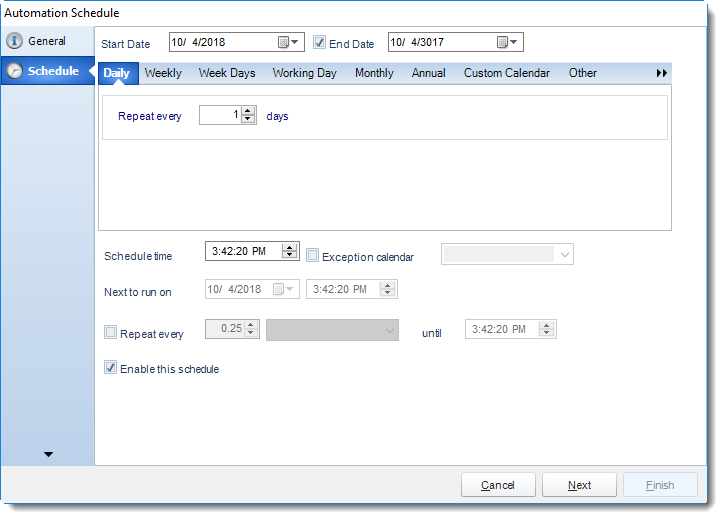 Similar to the schedule wizard, you adjust settings to your schedule such as timing or custom tasks.